Imagine that one of the trucks in your fleet has surpassed 100,000 miles. It undergoes the regular 100,000-mile maintenance test and a few parts were replaced due to normal wear and tear, but otherwise, everything seems fine. Then, a few weeks later, you get a call that the truck is broken down on the side of the highway, far away from the nearest town. You now have to pay for towing fees to a shop, a replacement part and labor costs, and you may lose out on the payment of the shipment that was being hauled due to lateness or damaged freight, like perishable food going bad. When all is said and done, you could be looking at a hefty sum of money. Now, imagine that you had years’ worth of data that told you when certain parts were most likely to fail. You could look at the analytics report and see that the part that broke on the truck typically fails just after 110,000 miles. If you had replaced it at the regular 100,000-mile check-up, you’d have avoided a towing fee, inflated replacement part prices and labor costs. Replacing the part, could have cost half the price, and you would have completed the shipment and received that payment. If you operate a fleet of hundreds of trucks, proactive maintenance, like in the example above, can save your company thousands of dollars in emergency maintenance costs per year simply by finding trends within your data and avoiding common failure points. While the goal remains focused on avoiding possible failure points and limiting emergency breakdowns, the methods used by many shops to diagnose maintenance and repair issues continues to lag. Standard practice still involves handwritten service intake tickets, visual inspections and recording of drivers’ comments about observed problems. Simple human error remains a risk. Fast-forward to a proactive and predictive stance on fleet maintenance. There’s a better way stay ahead of the issues – predictive technology solutions. Taking proactive maintenance to a predictive level is the necessary next step in the evolution of a quality maintenance program. While many shops have the electronic diagnostic tools to fit each original equipment manufacturer (OEM) subsystem and unique data bus interface, few take the time to connect each system individually and scan for unreported fault codes on each arriving vehicle. 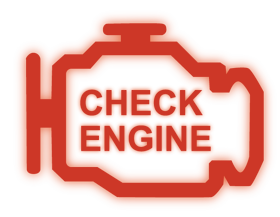 This common shortcut can result in vehicle problems that are often misdiagnosed because observable issues don’t conclusively point to root causes. Many potentially dangerous vehicle conditions and avoidable breakdowns are missed altogether. As shops and fleets struggle to implement best practices in identifying and diagnosing hidden fault codes, forward thinking fleets and OEMs are already moving toward a predictive maintenance model based on diagnostic trouble codes and other data fed directly into their fleet maintenance and business intelligence software. Through this approach, modern fleet maintenance systems often will be able to predict fault codes in advance and avoid costly breakdowns before they occur, eliminating both the operational challenges of replacing equipment in transit as well as the higher costs associated with mechanical breakdowns on the road. As engine OEMs have confronted each new wave of emissions regulations, commercial tractors have become platforms for highly sophisticated engine electronics. Moreover, modern engine control units, sensors and other electronics are designed to capture thousands of data points covering virtually every area of engine, fuel system, drivetrain and emissions control operation. These changes have resulted in a four-fold increase in the number of multiplexed engine control units and sensors, as well as a six-fold increase in diagnostic trouble codes. 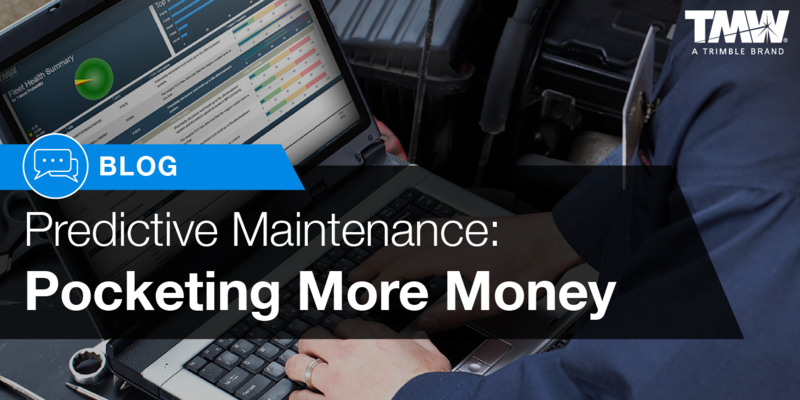 Given that equipment repairs and maintenance represent 10% or more of total operating expenses for a transportation company, monitoring the increasing volume of vehicle performance data on a near-real-time basis is key to maximizing vehicle return on investment, preventing avoidable breakdowns and keeping drivers safe, productive and satisfied. Moving from reactive to proactive doesn’t have to be a hassle. With today’s technology, you can implement a solution and start collecting data on how your fleet operates. When you have analyzed enough information, you can start to see patterns of when certain parts may fail and proactively manage your fleet for greater uptime. Going beyond critical reporting to predictive maintenance, TMW offers two products that can help you stop mismanaging codes and start preventing costly emergency repairs within your fleet. 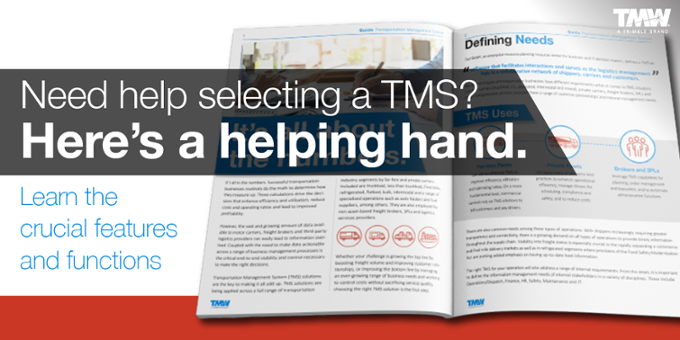 TMT First Step is designed to help fleets proactively identify and address Diagnostic Trouble Codes (DTCs) as part of the vehicle intake process. TMT Predict.Fault Code is a predictive maintenance application that enables fleet professionals to anticipate and address potential vehicle breakdowns and other unscheduled service needs before they occur. Read TMW’s white paper, “Vehicle Fault Code Analysis: Moving from Proactive to Predictive” for more information on the benefits of implementing a solution that will help you manage your fleet’s maintenance and cut down on costly repairs - in turn, boosting your bottom line in the long-term.